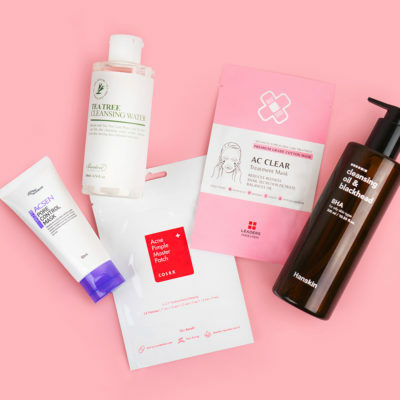 Dealing with adult acne is tricky, but Korean products for cystic acne can help. 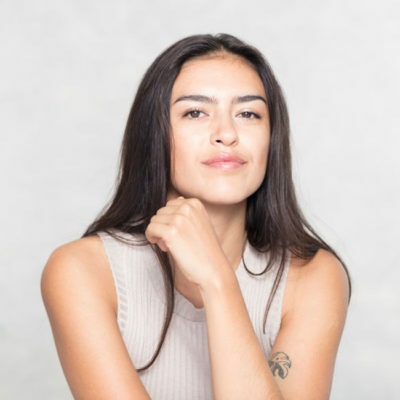 Learn how Soko Glam’s Merchant & Curation Manager Jessica was able to treat her painful hormonal acne and keep the flareups under control. First, tell us about your skin. I was dealing with very painful and embarrassing hormonal breakouts on my forehead, especially between my brows, and even on my cheeks. I attempted to cover them up by using heavy foundation and concealer, but that was just making everything worse. I also have extremely sensitive skin, so a lot of the products I was using to combat the breakouts were either giving me rashes, making the breakouts worse, or drying out my skin. Each new product led to disappointment, and soon enough, I was feeling very discouraged. In addition to hormonal breakouts, I struggled with clogged pores. 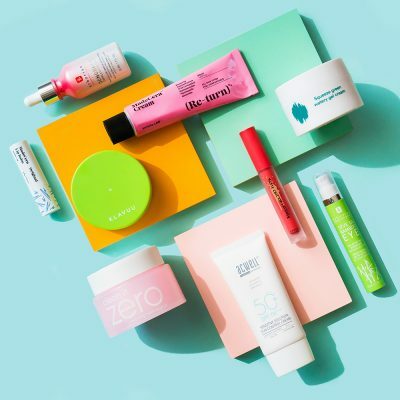 I had little skin-colored bumps all over my cheeks and mostly notably on my forehead that wouldn’t go away, no matter how many topical products I applied. 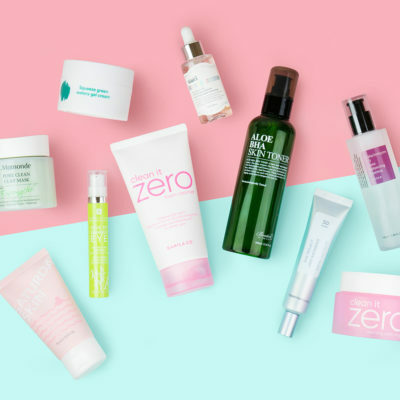 How did you start treating your skin? 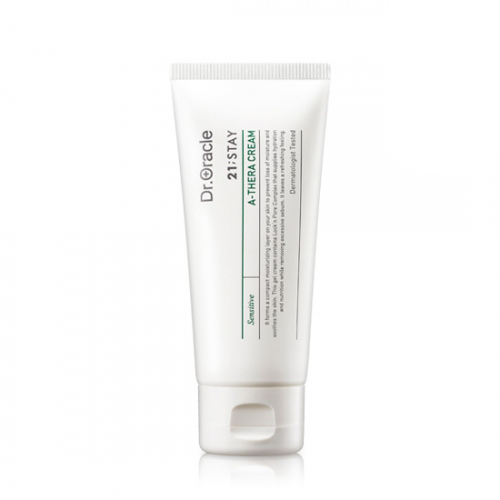 When I told Charlotte about my situation, she recommended I try the Dr. Oracle A-Thera line because it’s designed for sensitive, acne-prone skin. She explained that my skin barrier was highly compromised due to all the harsh products I had been using. Because of that, my skin wasn’t able to combat the breakouts, and the excessive use of makeup definitely wasn’t helping. For my hormonal acne, she recommended that I go to see a dermatologist first to see what I can do to prevent further breakouts caused by hormonal imbalances, which could be attributed to a number of things like prescription medication. Secondly, she recommended cutting down on the products I was using and starting with a clean slate. That way, I could track which products were irritating my skin and which ones were not. I kept my double cleanse routine the same (I used the Banila Co Clean It Zero Purity followed by the COSRX Salicylic Acid Daily Gentle Cleanser) and started slowly incorporating the Dr. Oracle products into my routine. I first started with the A-Thera Peeling Stick, using it once a week after my double cleanse. Since a harsh physical exfoliator would only aggravate the issue, a gentle chemical exfoliator like this one was the right choice. I only used the Peeling Sticks on the areas that had active acne, like the parts of my cheeks and my entire forehead. I then added in the A-Thera Emulsion, cutting out toners, essences, serums and any other steps in my routine. After two weeks, seeing that my skin wasn’t irritated, I added the A-Thera Cream to my nighttime routine to use as the final step after the Emulsion. Charlotte recommended that I do not apply the Emulsion or the Cream on the areas where I used the Peeling Stick so that I can let the chemicals do their work overnight. So, on the days I used the exfoliator, I avoided applying the Emulsion and the Cream on those areas and instead applied them only on the surrounding areas. How did your skin react at first? 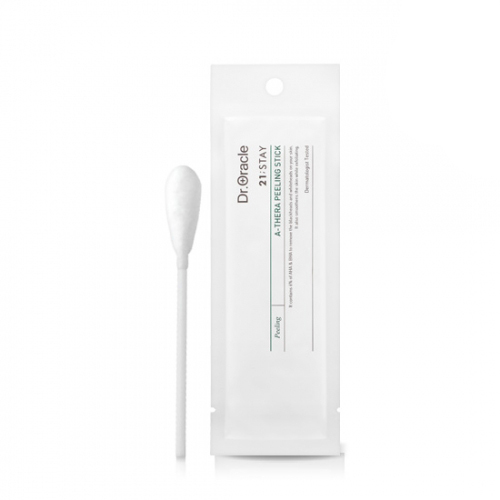 When I tried the Peeling Stick for the first time, the chemical exfoliants tingled and stung a little where the cystic acne was the worst. After a few seconds, the stinging subsided, but the acne bumps appeared redder than before. 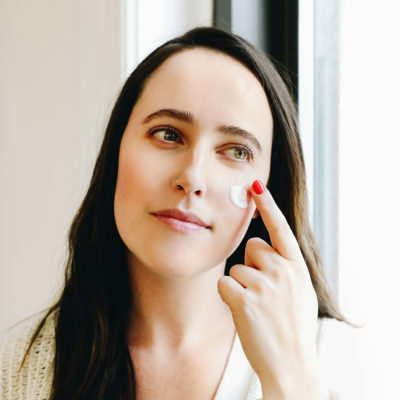 I slept on it, and the next morning, I noticed that some of my cystic acne had risen toward the surface of my skin, allowing the head of the pimple to appear. For me, this was way better than having that painful red bump underneath my skin. 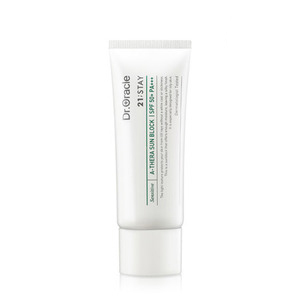 That night, I put on some pimple patches on those blemishes and applied the A-Thera Emulsion to the areas around the acne. I repeated this for a couple of days, applying pimple patches to the spots that were noticeable. 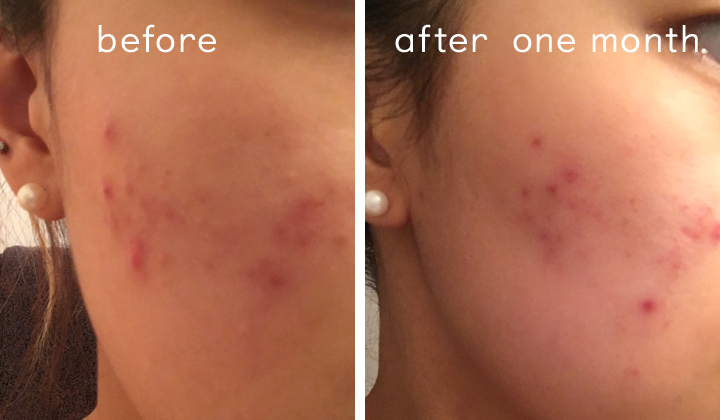 After a few weeks of using the Peeling Sticks once a week and religiously applying the Emulsion twice a day (morning and night) and the Cream once a day (at nighttime), my cystic acne significantly subsided. The emulsion and the cream both use bamboo water to add just right amount of hydration oily skin needs while also soothing irritation with green tea extract. Gone were the painful red bumps beneath the surface of my skin, the clogged pores, and the bumps on my cheeks and forehead. I still get breakouts here and there because of my hormones, and that’s not something I expect to control with skin care products. But I can confidently say that I’ve seen noticeable improvements in my skin. 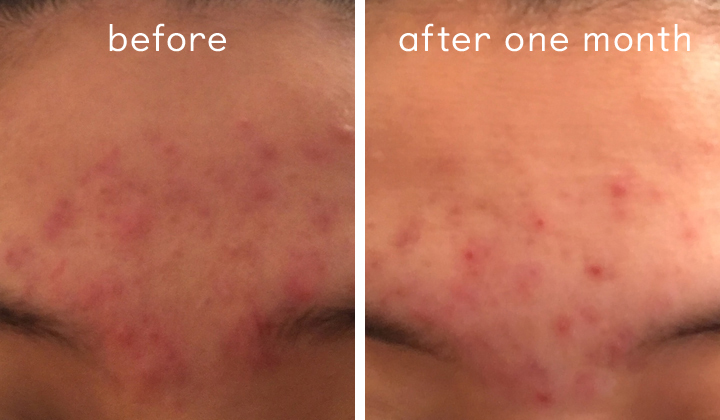 I have less breakouts in areas that I used to get recurring acne, and if I do get breakouts, I can get rid of them in a few days with the help of the Peeling Sticks and pimple patches rather than having them for weeks. My clogged pores are gone, so my forehead is now smooth and so are both of my cheeks. My complexion is brighter and less dry. Even though my acne scars are still there, I’m confident that with less breakouts to worry about, I can start focusing on fading those scars over time. My skin is definitely far from perfect, but seeing these dramatic improvements has been encouraging and uplifting. Skin care is a journey, and I’m excited for what’s to come! 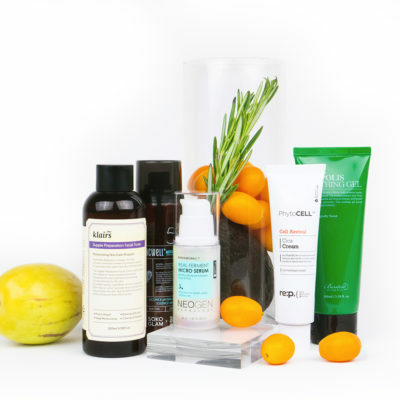 + Do you have any tips for sensitive and acne-prone skin? Share them down below! Dear Soko: What Anti-Aging Ingredients Are Gentle Enough for Sensitive Skin?